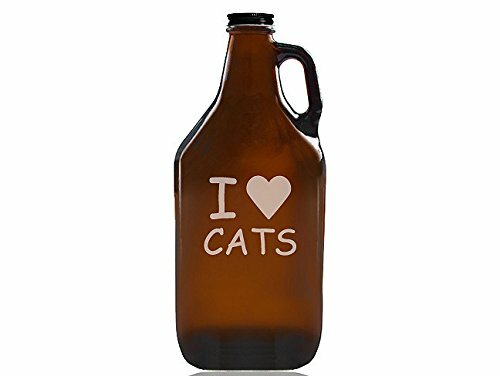 Each 64 Ounce beer amber growler features a stylish engraved I love Cats design. The perfect housewarming or any special occasion gift. Made and engraved in USA. Measures 10.5"H x 4.5" in diameter. If you have any questions about this product by Chloe and Madison, contact us by completing and submitting the form below. If you are looking for a specif part number, please include it with your message.